On 1st July 2018 Mr. Md. Shahidullah and Mr. Md. Iqbal Hossain Bhuiyan, Chairman and Managing Director of Netcom Technologies (Pvt.) 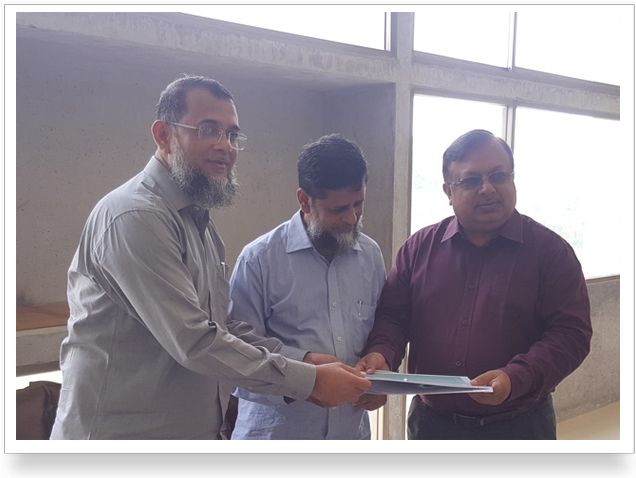 Ltd. handed over the PANDUIT Site Certification for the “Structure Cabling System” at UIU Permanent Campus to Prof. Dr. Chowdhury Mofizur Rahman, Vice Chancellor of UIU. UIU is very thankful to Netcom Technologies (Pvt.) Ltd for Netcom’s effort and support to build the Network and Data Center infrastructure within a short period of time, cited by UIU. Also UIU thanks to Panduit International, USA.